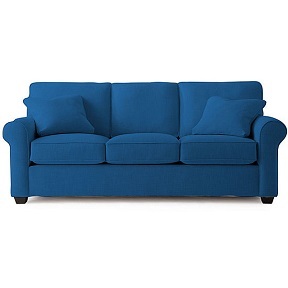 Decorate your home with the latest JCPenney furniture styles in the hottest colors. Nowadays, most people read digital books, but there are still some out there that love reading physical books. You can display your book collection with one of our stylish bookshelves. If you don’t have books to display, a bookshelf is still a great place to show off pictures, knick-knacks, holiday cards, and whatever else you can think of. A rug is a nice touch to your living room as well. When decorating a small living room, use a big rug instead of small ones. Small rugs visually chop up the floor, whereas a large rug will help to make the room look larger than what it is. Oversize sectionals mean you can forgo chairs, but if you just can’t imagine your living room without chairs, we have a gorgeous assortment of accent chairs. Transform your kitchen into something spectacular. A wooden table set in the kitchen adds some rustic charm. Bring sophistication to your home with a glorious set of high back kitchen chairs. Floating shelves are extremely versatile. Use them in the kitchen to hold your most frequently used tools, pictures, lamps and much more. 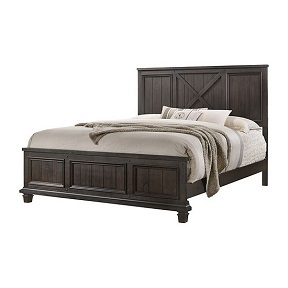 Shop rustic, contemporary, and regal bed room furniture. Metal or wood frame? Whatever material you want, we have it! While we’re on the subject of bedrooms, check out our mattresses and get yourself a new one. 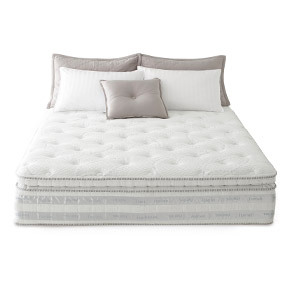 We have mattresses from Serta, Sealy and many other brands. 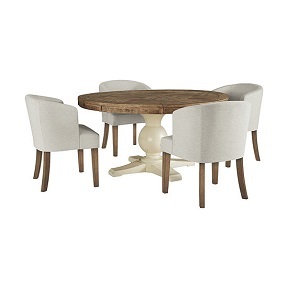 Your home will look spectacular with affordable and stylish JCPenney furniture in it!